Location and style come together in this 1,936 sq. ft. 5 bedroom & den half duplex just steps away from the Skytrain and trendy Commercial Drive. 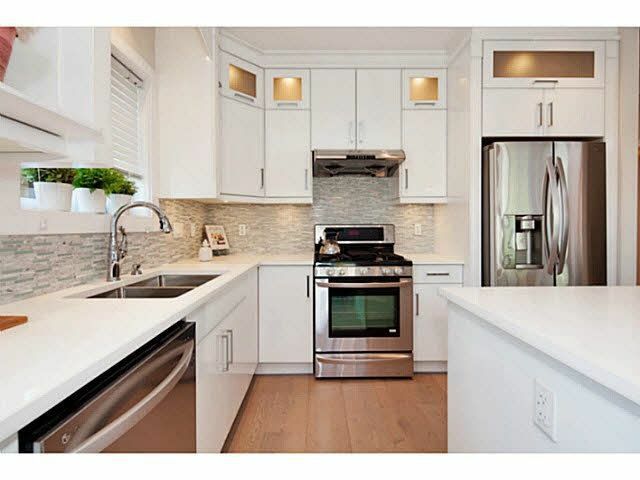 This bright and spacious rear unit was designed with top of the line standards in mind - soaring 9' ceilings, S/S appliances, white cabinetry to the ceiling, quartz counters and gorgeous h/w. A dream floorplan has 3 large bedrooms up & den on the main floor, plus the 2 beds & full bath in the basement (with entrance) comply with new City AirBnB rules for short term rentals if the unit is owner occupied. Added bonus: neighbourhood has been rezoned to possible 6 to 10 storey multi-family development, so there is a great value in the land - a lovely spot to live!